You must be a member of the Istanbul Karaoke Group to attend this activity. Would you like to join this group? Hello dear InterNations karaoke group, Please read the last line! 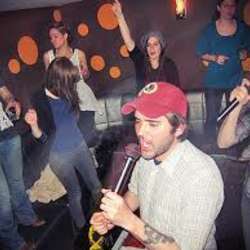 How about having a great time at a Karaoke Club this time? Program starts at 20:00 at the entry level with snacks and drinks and we are chatting and greetings. Come early and meet lots of fun people. At 21:30 we will be moving to the karaoke level to spend the rest of the program. I can't wait to go on a wonderful karaoke night with people and also meet new enthusiasts and share some good music. As a matter of fact we have a great karaoke pub at the heart of Istiklal, Protected content Check the location from the link! And we are organizing a karaoke party! Hope to see you there too..
- but you will need to pay an entry fee of 50 TL. a local drink included. ( charged by the venue.). So in order to benefit from a free entrance it is recommended that you write a short message indicating that you are either attending or not attending the event and the approximate time of your arrival so that I can add your name to the free entrance list.